With its accelerated economic growth pace, Iloilo is going to be a city hungry for cheap, and stable, power in the years ahead. Already, an 82-mW capacity coal-fired generation unit of the Panay Energy Development Corp. (PEDC) is supplying about three-fourths of the city’s power requirements. And in the three-month period that the coal plant has been churning out electricity, consumers of the Panay Electric Col (PECO), the city’s power utility, have enjoyed a gradual drop in their bills. At the end of February, the reduction in power rates was P2.0125 per kwh, which is quite significant in a city that endured a long period of having the highest power rates in the country. Before the coal plant went into commercial operations (a second unit of another 82-mW power generating capacity is expected to commence firing next month), Iloilo City businesses also had to cope with the debilitating problem of frequent brown-outs. The situation was so bad that PECO consumers couldn’t decide which was worse: exorbitant rates or frequent outages. Bad. Yeah, everybody knew the situation was really bad. Either one was particularly bad for business. Having both problems together definitely weighed on the competitiveness of Iloilo City in the race toward economic development. Iloilo has its distinct advantages — educated and easy-to-train manpower, for example. But such advantages were just buried under the weight of the power problem. Coal, however, remains controversial. Prominently displayed on the fences of almost all Catholic churches in Iloilo are tarpaulin signs protesting coal’s perceived hazardous effects on the environment. No amount of assurances from the PEDC that its technology has eliminated the hazardous effects of coal can remove that fear. Having said that, I must also mention the city has a big problem with its garbage. The city’s traditional garbage disposal area, the Calajunan dumpsite, is no longer being used for that purpose. A sanitary landfill is being established to accommodate the estimated 160 tons of garbage that the city disposes every day. There’s also a material recovery facility (MRF) on the site. But the new garbage facility is far from ready to shift to a more efficient way of disposing garbage. Along with power, garbage disposal stands out as another of the city’s biggest problems. The Catholic church signages advocate generating more power from geothermal sources. Unfortunately, that is easier said than done. We can’t squeeze more juice from the existing geothermal plants, and even if we do, Iloilo, along with the rest of Panay, stands at the end of the delivery system. Because of its “terminal” location at the end of the line, we will only be able to enjoy an insignificant load share. Where do we go then? How do we solve our problems? In December 2007, I made a side trip to Oslo, Norway upon the invitation of Vanessa Zulueta-Aromin, eldest daughter of my mentor, the late Lazaro “Nene” Zulueta and incumbent city councilor Perla S. Zulueta. I had come from a week-long seminar at the Friedrich Nauman Foundation’s International Academy for Leadership in Gummersback, Germany, and I figured I might as well visit Norway before flying home. It was a very, very cold four-day visit, but a very educational and enjoyable one. One of the places my hosts, Vanessa and husband Jerry, got me to visit was a waste-to-energy plant at the outskirts of Oslo. 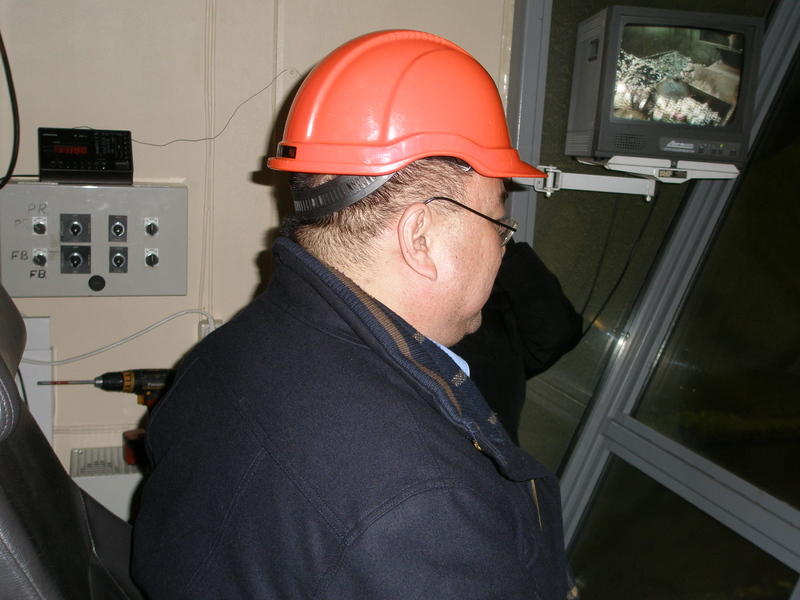 That's me trying my hand on the joystick control used to operate a giant claw for scooping chunks of garbage for loading into the furnace of the waste-to-energy plant in Oslo, Norway. I was introduced as a high-ranking official from the Philippines, so the plant management gladly took me on a look-see tour of its operations. Back then, I already wondered why such technology wasn’t being put into use in the country? Garbage is a big headache for Metro Manila, and big cities like Iloilo are also having difficulty managing its efficient disposal without causing environmental problems. This is a technology that can address two pressing problems confronting us: power supply and garbage disposal. Waste-to-energy plants are designed almost the same way as coal-fired power plants. The only basic difference, of course, is the fuel used to burn in the furnace and produce the required steam to run the turbines. At that Oslo plant, I watched in amazement as garbage trucks piled up at its gates, and one by one, backed up unto a huge collection bin and unloaded its cargo of combustible dry waste. As this was going on, I observed a giant claw operated from an airconditioned perch scooped big chunks of the garbage and loaded these on a conveyor belt that fed the fiercely burning furnace. In simple terms, it was just like coal being spaded into the furnace; only that instead of coal, the fuel was dry garbage. What about its pollution control system? Totally zero, I was told. At the control room, a bank of computer LCD screens constantly monitored all the measurements for possible pollution. This was a fail-safe system, I was told, because the same data that flashed on the computer monitors also appeared in a similar control room in a government agency tasked with environmental issues. To illustrate that point further, the plant manager later took me outside of the plant to look at the smokestack. 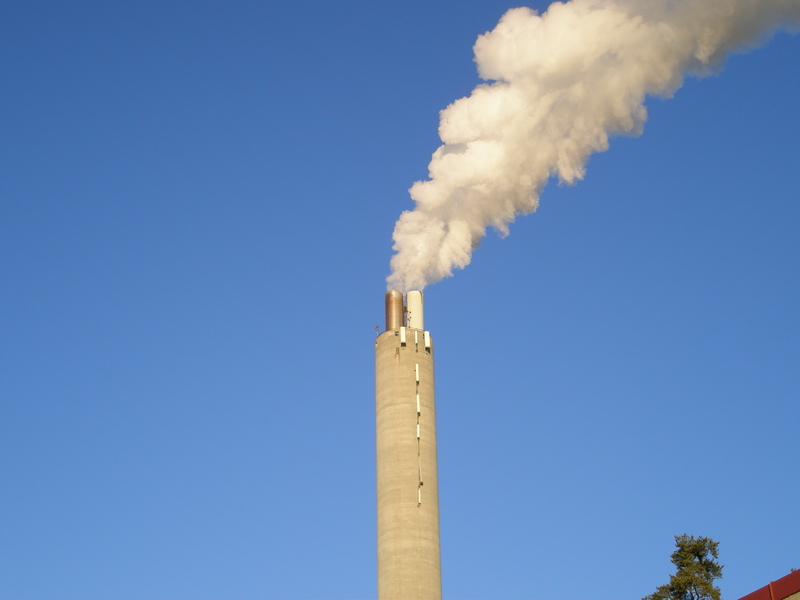 A medium-sized plume of white drifted from the smokestack, and there was hardly any noise from the plant’s operation. The white plume was escaping steam, I was told, not the smoke from burning material. The plant was located just 5 miles from Oslo’s business district, and I guess Norwegians had stricter environmental standards than Filipinos. A plume of white steam escaping from the cooling system of the waste-to-energy plant in Oslo, Norway is all that goes up into the air. Zero pollution, according to the plant manager. The one big difference in the whole set-up was that the garbage trucks didn’t pay to unload their cargo as we usually see in this country. It was the power plant that got billed for every truckload of garbage delivered. Garbage was money; the garbage trucks were paid to bring their waste to the plant. It’s a system that helps make sure Norway doesn’t worry about where to dump its garbage. At present, the existing power generation technologies mostly utilize exhaustible resources — bunker fuel, diesel, coal, and even geothermal steam. The alternative power generation technology such as wind, solar and hydro could not just be set up anywhere. The site was be suitable for the purpose, not to mention the tremendous capital that is needed. I think there is no dispute that garbage is an inexhaustible fuel. For as long as there is human life, there will be garbage. And every barangay, municipality or city will always generate garbage that need to be disposed. Hence, I pose this question: Why isn’t waste-to-energy technology not being utilized in the country? To me, its time has come, and government must seriously explore how it can be brought to cities like Iloilo, Bacolod, Cebu, Davao and even Metro Manila. Nice report, sir. LGUs need local financial support and serious desire to learn for this process to become succesful.